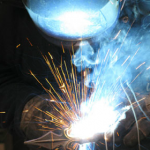 Since 1989, We have been specializing in hand-crafted and high-end stainless steel. Perfectionist : We only work with high-quality products. Approachable : Listening, advising and quality workmanship are values we hold dear in our family business. Whether you are looking for a steel, stainless-steel staircase, an automatic gate, a terrace or a balustrade, our team of qualified and dynamic professionals will ensure the completion of your ironwork project from the development until the installation ! Which products do we manufacture? Metal staircase: A wide range of on-trend, contemporary or classic staircases that will enhance the interior and exterior of your home! Gate (motorised or not): Choose from a wide variety of modern and classic wrought-iron gates and equip it with a NICE motorised system. Terrace and balcony: Functional walkways that will create new living spaces. 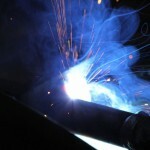 Ironworks: Building professionals do not hesitate! Contact us and discover the great names which came to us for their renovation, railing and handrail projects. Do you have a great idea and need an expert in design, solidity and security to assist you? Are you looking for “la haute couture” of ironwork quality made in Belgium? Then VDV is your partner ready to advise you and support during each stage of your project !